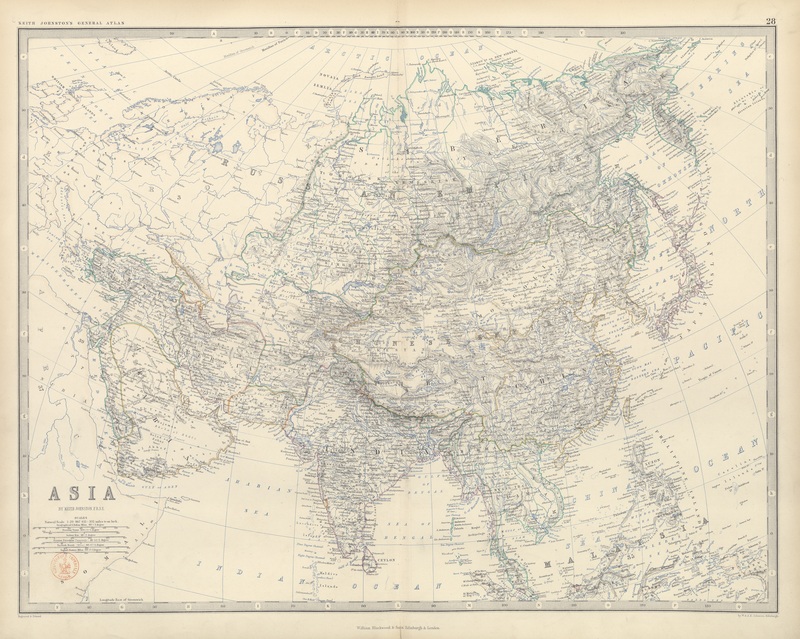 Alexander K. Johnston, Detail of a Map of Asia, Alexander K. Johnston, The Half-Crown Atlas of General Geography (Edinburgh: W. & A.K. Johnston, 1869). Photograph courtesy of the BNF (Cartes et Plans GE FF- 7958).